Lucknow, Feb 10 : Reaffirming its commitment towards E-mobility in the country, India’s leading bus brand, Tata Motors on Sunday launched its electric bus with supplying its first vehicle to Lucknow city. Tata will be supplying 40 vehicles of the Ultra 9m AC Electric buses to the Lucknow City Transport Services Ltd (LCTSL) by March. The first Ultra 9/9m AC Electric bus was flagged off here on Sunday by Uttar Pradesh Urban Development minister, Suresh Kumar Khanna along with officials from LCTSL and Tata Motors. The new bus will begin its journey from Alambagh depot. During his speech, the minister said that in future, the UP government would be purchasing over 500 electric buses to strengthen the city transport system in the state. 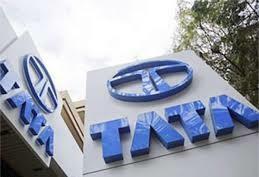 Speaking on the occasion, Mr Rohit Shrivastava - Vice President and Head- Buses, Tata Motors told reporters on Sunday that, “Tata Motors has always been at the forefront of the E-mobility evolution and this order is a testament of our best-in-class solution tailored for the bus segment in India. The order is part of the 255 e-buses to be supplied to six STUs in the country, of which LCTSL is one. Our in-depth understanding of sustainable public transport for different markets and customers is what differentiates us from our competitors. We are determined to develop alternative fuel technologies and create more energy efficient vehicles supporting the government’s efforts for promoting electric vehicles in the country.” He said very soon these e-buses would be launched in Kolkata and then in Indore, Jaipur and Jammu. Manufactured at Tata Motors and Tata Marcopolo Dharwad plants, the Ultra Electric buses will have a travelling range of up to 150 kilometres on a single charge. The company has installed a charging station at the Alambagh depot. The indigenously developed vehicle offers a superior design with state-of-the-art features. Li-ion batteries have been placed on the rooftop to prevent breakdown due to waterlogging. The batteries are liquid cooled to maintain the temperature within an optimum range and ensure longer life along with better performance in tropical conditions. The Ultra Electric buses are air-conditioned, have modern interiors and comfortable seats for 31 passengers. As an industry first, there will be air suspension for both front and rear axles to make travel more comfortable for the commuters. Integrated electric motor generator with a peak power of 333HP can deliver 197HP continuously ensuring effortless driving in congested roads and frequent start stops needing no shifting of gears. The critical electrical traction components have been sourced from internationally known best-in-class suppliers in the USA, Germany and China offering proven products. The buses have been tested and validated by Tata Motors across states including Himachal Pradesh, Chandigarh, Assam and Maharashtra to establish performance in diverse terrains.